as promised we have another giveaway for you this month. this one will go to followers of this blog. so if you'd like to win, make sure not only to leave a comment but also to follow us via the sidebar! the first present is this set of wire fishes, handmade by simona. each is 10 cm or 4 inches long. use them as bathroom decoration (that's what we did in our home), as dinner table decoration or as a scrapbooking embellishment. 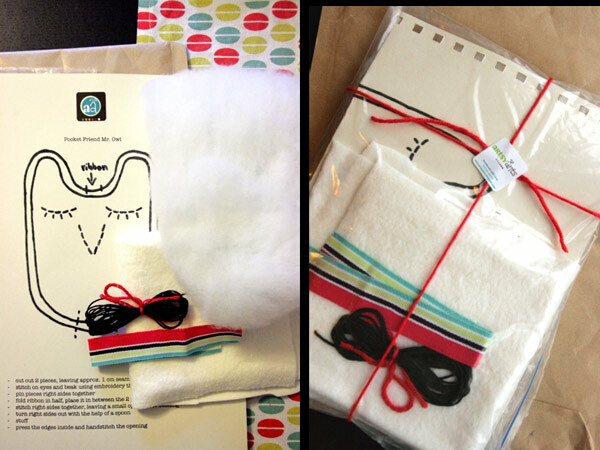 another person can win this little crafty kit. you'll receive a pattern and instructions for a small, simple stuffed owl together with all the materials you need to make it, i.e. 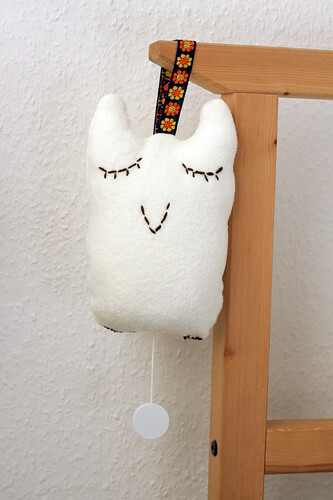 cotton fleece, embroidery floss, stuffing and a piece of ribbon. all assembled and ready for you to create a small handmade gift! in order to win become a follower of this blog and leave a comment on this post until next monday, nov 29. the giveaway will be shipped anywhere in the world! I'd love to enter. The fishes are so cute, and the owl is a great idea! i'd like to participate it. I love the fishes, I love the owls!! I just bought such a cute owl bag in london!!! a-d-o-r-a-b-l-e. Love the fishes. And the owl? presh. way way to cute! love them both. thanks girl! i say as anyone else around here, how cute! now i'm in! :) have a nice day! The owls are adorable... they look bashful! I love them.... Crossing my fingers. Saw Simona making those fishes. (....and have seen MANY more of them - besides cute little bicycles!) And I'm still very much impressed. Congratulations to the winners, by the way. Hi, Sylvia! The owl-set looks really perfect. I know, Spencer loves "the song" of his owl, too. Just wanted to let you ladies know I received my fishes. They're so cute! I have them hanging on my wall above my desk. Thank you!